During the colder months, heating your home can quickly become a major expense. We all know the feeling. Dropping temperatures. Debating over turning up the thermostat. Worrying about how much extra you’re burning. Sure, you can always ‘put on another layer’. But that’s not exactly a homely solution. 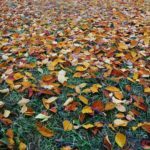 In this article, we’ve brought together all of the best tips on making sure your house is heating-cost friendly. 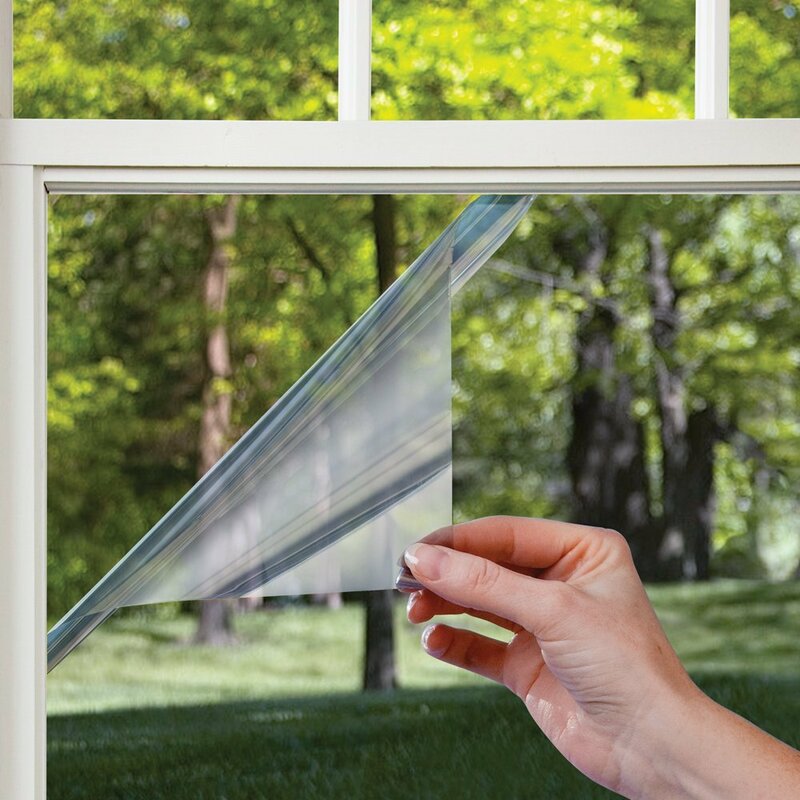 One solution, a bit more on the ‘extreme’ end, is to completely seal your windows in plastic. You can find window insulation kits in most good DIY stores – and they only need the heat from a hairdryer to be applied. Don’t worry – they’re easy to take down come springtime. #2 – Keep Doors Closed! Something that’s easy to forget, the best way to stay warm is to heat one room and keep the heat in there. Make sure the whole family’s on board. Possibly even consider self-closing doors if Fido’s always running around the house and exploring! When your door is closed, there should be almost no space between the door and floor section of the door frame. If there is, check if the frame is being held down by screws – some of these frames are adjustable. By loosening the screws, the frame rises up slightly, minimising the area air can flow out of the room. It’s also worth similarly checking the sides and top of the door, though unfortunately replacing the frame is the only real solution there. Following on from above, grab some door sweeps to help prevent as much heat loss as possible. If you’ve not got any to hand, even an old towel will do the job perfectly. Feel for small pockets of airflow that could indicate a draft in your home. If you think you’ve found anywhere, a good trick to make sure is to take a candle and see if it flickers when you place it there. Seal or replace sealant around windows and doors if required. The downside to fantastic looking wooden floors is the feeling of walking on ice in a winter morning. Not only that, but a lot of heat can be lost through the cracks between the wooden panels. A good quality rug can not only look great and save you from icy toes, but help keep the entire room warmer, too. #7 – Create Your Own Space Heater! MacGyver together your own heater with two flower pots and a couple of tea lights. Check out this simple video from Tiny House Listings showing you how it’s made. They’ll never be a main heat source, but a few candles will help to add that extra degree or two if you’re close to them. However, make sure to use them safely, and don’t go lighting them all over the place. It’s very easy to forget to blow them all out when you’re sleepy and heading to bed. Not only does combining body heat do a ton towards heating a room, but only heating one small space can take cut down on your heating costs considerably. Setting up a family games night or enjoying a movie together is a great way to save on heating costs, as well as spending some time together as a family. Not everything needs to run on electricity. Propane or Kerosene heaters can be a fantastic way to provide a powerful amount of heat without needing to be plugged into a mains connection. Not only are they great alternative option, but they’re an ideal back-up heating solution should you lose mains power. 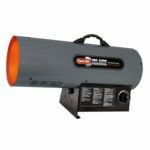 Check out our guide to find the best propane heater for your home. Central AC systems can be a source of heat loss during the colder months. Make sure any outdoor AC units are tightly covered up. No matter how insulated your windows are, they’ll still be a source of heat loss. One fantastic way to minimise this is through thermal curtains – thick drapes that are made to act almost like a wall of insulation. 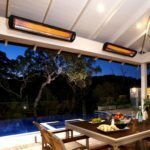 It’s been proven that they can reduce heat loss by up to 10% [energy.gov]. 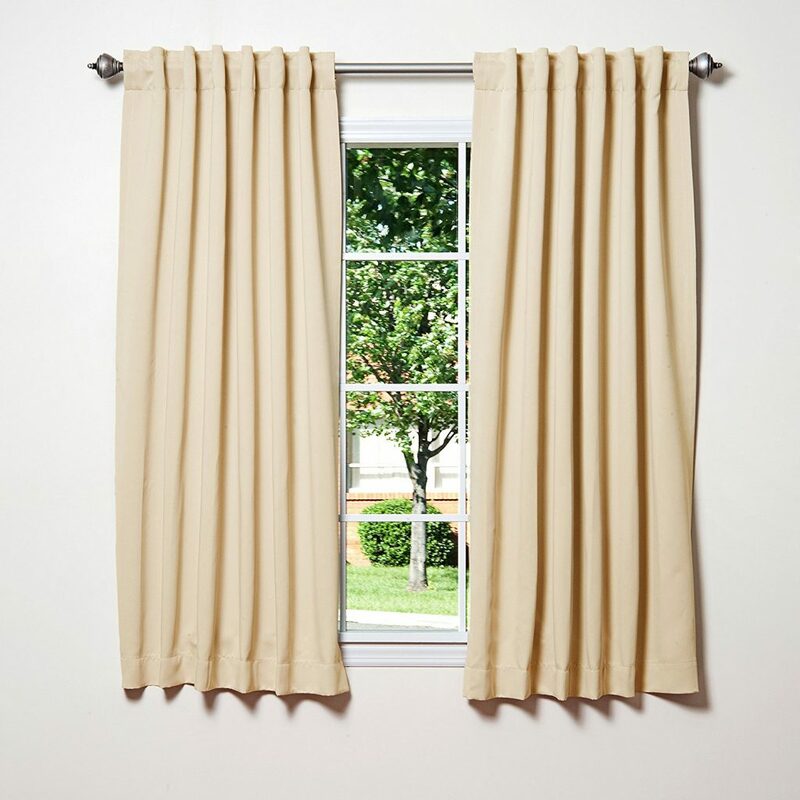 While they’re a bit more expensive than normal curtains, they can pay for themselves by saving you money on heating costs. While shooting up the kitchen exhaust fan to full blast may be a habit, it’s also a great way to lose lots of spare heat. Don’t stop using it altogether, but consider keeping it turned down a notch to help keep some of the beneficial heat you’re creating on the stove. Neglecting to clean your heater’s filter or give it a professional service can greatly reduce it’s efficiency. Make sure you’re getting your money’s worth by keeping the heat flowing fully – sometimes you’ll actually be saving yourself money by paying for a professional service, if you’re not entirely comfortable with doing it yourself. If you’re heater’s getting on a bit, a more modern version could provide the same or better heat with much less of an energy cost. Since hot air naturally rises, we lose a lot of useful heat to the ceiling. Especially on the ground floor. As a solution, have your ceiling fan gently working in the reverse direction to help the warm air flow back down. A few degrees difference on a heating system can make a huge change to how hard your heater’s working. Do your best to keep it as low as possible while keeping the temperature comfortable. Dropping it down in the afternoon and evening (we sleep better in cooler temperatures) can make a noticeable difference. If you’ve got a thermostat that you’re changing manually throughout the day, you’re losing money. Simple as that. Insulate insulate insulate. There’s nothing more effective at keeping your home warm than good insulation. One key source of heat loss is often attic floors, so make certain that the heat isn’t going to be rising up and out of your home. You can actually check just how much insulation you should be aiming for thanks to the Department of Energy’s free checker here. All you need is your zip code, and they’ll give you a recommendation for insulation level. It’s easy to accidentally block a heat vent with a piece of furniture. Make sure there’s a clear path for the warm to flow out of your heat vents, to make sure you’re getting as much heat as possible out of your system. 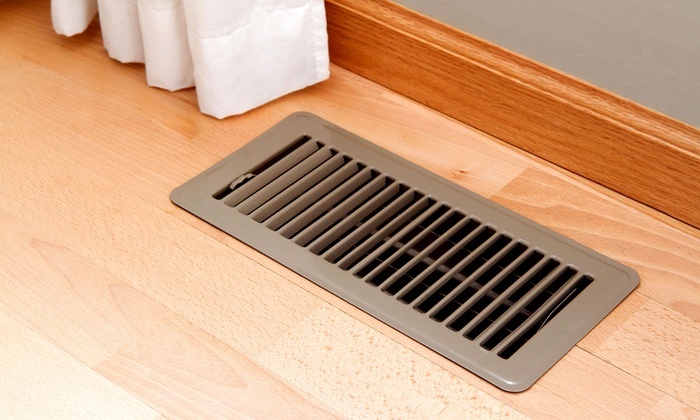 Make sure your heated air flows freely by keeping your vents open and clear. An ill-fitted electric socket can also be a place where you can lose hot air. These are simple enough to replace with a better-sealing socket. Again, if you’re not sure whether you’re losing warm air or not, just hold a candle near to the socket and watch how the flame reacts. Pipes and cables often have small air gaps around them when they pass through exterior walls. Sealing these up can be an easy way to prevent heat loss. #22 – Wrap Your Pipes! Heating efficiency can also take a drop due to a loss of heat within the utility pipe itself. Wrap them in some insulating foil to make sure you’re keeping as much heat as possible. Yes, these are real – and they do work! Chimney balloons are a unique solution to solving heat loss through a chimney. If you have an old fireplace that you’re not going to be using for heating, the chimney can be a bit of a liability when it comes to heat loss, even when closed off. Check them out on Amazon here. There can sometimes to be that extra bit of difference between a fully locked window or door – you can feel them get pulled closer into the frame. Making sure everything is securely shut means you’re getting the best seal against heat loss. Secure windows mean even less heat loss. #25 – Get an Energy Audit! If you really want to make sure your heat efficiency is top notch, get a professional to check out your house for you. Give your utility company a call and ask if they do audits – some of them will have someone come take a look free of charge! One thing that’s easy to forget is that your utility provider has plenty of competitors, all eager to claim your custom. Have a check around at the competition, and see if there are any special offers going on for new customers. There’s nothing more comforting than a warm home in winter. And the peace of mind that you’re only paying for the heat that you need is priceless. If you can think of any more tips that we may have missed out, we’d love to hear them in the comments below!